An outbreak of lice is no laughing matter; but it doesn’t need to cause fear and tears either. September is Lice Prevention Month, so let’s get the facts straight and squash those little buggers before a family epidemic arises. Lice DO NOT jump (or fly, or swim). They are fast crawlers who like to be nice and warm and near their food source—human blood. The amount of heat our bodies throw off means that we—yes, adults and kids alike—are the perfect breeding grounds. 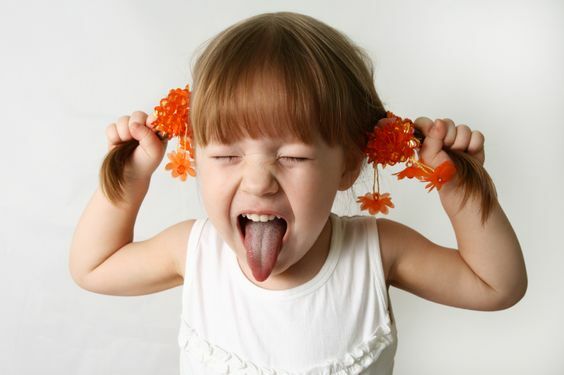 Cleanliness and personal hygiene have no effect on who gets lice and who doesn’t. Believe it or not, head lice prefer clean hair over dirty. There are preventative steps to take to make an infestation less likely. Lice are a uniquely human parasite adapted to living in human head hair and cannot live more than 48-hours without a human host. No pets or animals can be infected. 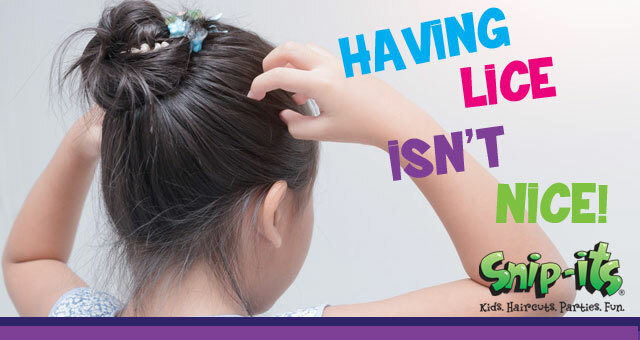 Lice prevention starts with early detection. This means regular family head checks (2 to 3 times a week) at home while your kids are in school, or daycare, and in contact with so many other human heads. What are you looking for? Adult lice resemble grayish brown sesame seeds in shape and size. You are also checking for eggs (tiny white dots that resemble dandruff) and nits (the empty eggshell that’s also dandruff-like, but extra sticky) near the scalp but attached to the hair shaft. Because head lice are most commonly found on the scalp, behind the ears and near the neckline at the base of the head, the next step in prevention: Avoid head-to-head contact. Young ones who haven’t yet mastered the concept of body space, and teens jumping on the group selfie train are especially susceptible. Teach your kids good habits: Avoid sharing hairbrushes, combs, hairclips, binders, hats, bike helmets, scarves, coats, towels and even headsets and earbuds. Don’t share lockers, desks, clothes hooks and closet space. Lice can survive 48 hours without a host; they have the time to crawl from article of clothing to article of clothing. Avoid these risky situations whenever possible. Symptoms: What Are You Looking For? Feeling something moving in the hair—even a light, tickling feeling. Lots of itching—and not just from reading this post. 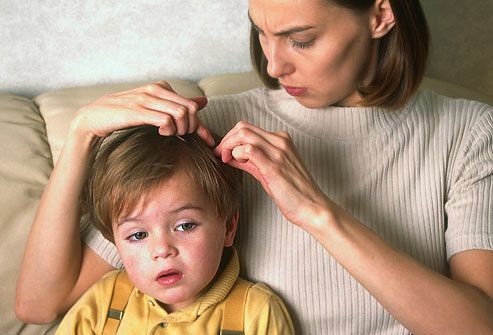 An allergic reaction to the lice bites may cause your kids to scratch uncontrollably. Head lice are most active in the dark, so notice if your tiny tots are abnormally irritable and are having difficulty sleeping. Look for sores on the head caused by the excessive scratching. These may be easier to spot than the actual head lice. Next, once you find the lice and their eggs, treat the problem. There are a number of different remedies around—everything from harsh chemicals to home remedies, and an increasing number of natural-based solutions. Head lice are over a million years old, and like the rest of us, they have learned to adapt and survive. 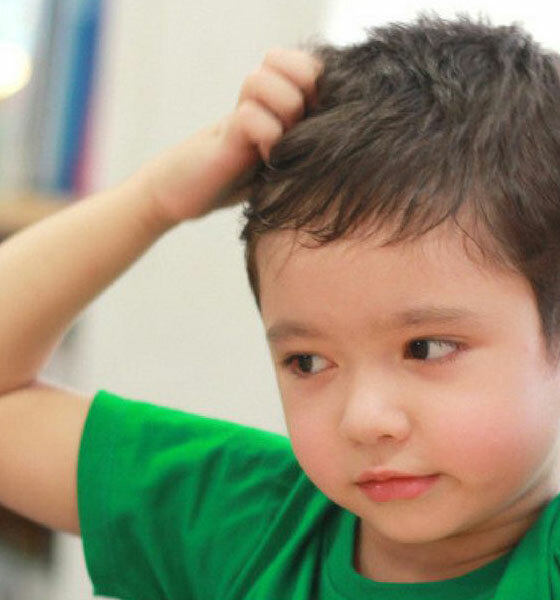 The newer “super lice” can be resistant to some of the most popular treatments out there. Insecticides found in many of the chemical-based treatments are becoming ineffective and also can be harmful to you and your children. Combing out works, but it can be tedious. Home remedies are quicker but some are just as ineffective and also harmful to your little ones. A number of small studies have shown that some natural-based ingredients work to repel lice; these are not regulated or tested by the FDA. Finally, once treated, isolation and heat are paramount to stopping a lice relapse. Keeping your infected little one home from school is a good idea and typically the school and CDC protocol. Many schools and states no longer require notes to go home when there is an outbreak of lice. Make sure you know your school and state’s regulations so there’s no extra-surprise of no notification during lice season. All combs/brushes and hair accessories—including: headbands, wraps, barrettes and bows should be bagged tightly and placed in the freezer for 12 hours, put in a mesh bag and placed in the dishwasher on the sanitize cycle or set aside (in the tightly closed bag) for a week. Wipe down all glasses, goggles, earrings, hearing aids, phones and head phones gently with soap and water. Wash all hats, jackets, sweaters, sporting gear (only if dirty). It is not the washing that kills the lice it is the high heat produced in the dryer. Place all things in the dryer on high heat for 40 minutes. If the fabric won’t tolerate the high heat then place in the freezer for 12 hours or bag for 5 days. Cleaning bedrooms: strip all the sheets and mattress pads off, and place in the dryer on high heat for 40 minutes. Vacuum the mattress and all areas surrounding the mattress. You will need to repeat this step daily for 5 days. Pillows can be placed in the dryer for 40 minutes, placed in the freezer for 12 hours or bagged for 5 days. Car seats: Vacuum car seats and headrests thoroughly. If you have leather seats, wipe them off with a damp rag. If your child sits in a car seat or booster, remove the seat cover and dry on high heat for 40 minutes, place in the freezer for 12 hours or bag for 5 days. Put all dolls, blankets, stuffed animals and rugs in the dryer on high heat for 40 minutes, place in the freezer for 12 hours or bag for 5 days. If it’s not dirty, don’t wash it. High heat from the dryer kills lice–not the water. When using the dryer use the highest heat setting for a40 minutes. After you have vacuumed and/or wiped down the couch and chairs in your living areas, place a flat sheet over them. At the end of each day you can remove the sheet and put it in the dryer for 40 minutes. If your child plays in their closet or drawers and you feel that all the clothes are contaminated, you can take out outfits for the next 5 days, put them through the dryer on high heat for 40 minutes and tape-off the closet and/or drawers for 5 days. Remember: Lice die after 48-hours without a host. If there are areas in your home that are rarely used, vacuum them and tape them off as an off-limits area for 5 days. If you have little girls try to keep their hair back in pony tails or braids. Inform the parents of the children that your child plays with frequently. Also, inform your children’s teacher to make arrangements to get your child a single locker whilst going through the treatment process. Use all-natural Lice Prevention products frequently – they will repel head lice for 8 hours with each application. You can find lice prevention products at your nearest Snip-its location. Encourage your kiddos NOT to share sporting gear, hats, coats, combs, wigs and dress-up clothes. Talk to one of our Kids’ Hair Experts about the best prevention products available. 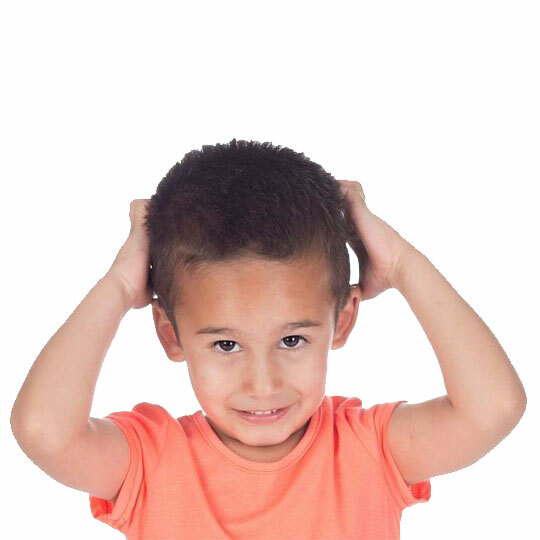 And also, check out the Snip-its website for more great tips and tricks on preventing and treating head lice.